John Willis may be sentenced to over 10 years. They called him Bac Guai, or “White Devil John,” and he was their enforcer. John Willis was a white man from Dorchester, yet, according to court records, he quietly emerged as a leader among Chinatown’s Asian gangs, historically known for insulating themselves from outsiders. He had been introduced to the neighborhood’s underworld when he was about 12 years old, learned to speak Cantonese, and was essentially adopted by a Chinese family, according to federal prosecutors. From there, they say, he followed the leaders of the violent and once-powerful Ping On Gang, launching a career that spanned more than two decades. On Thursday, he was facing a lengthy prison term for his activities. Willis, 42, was in federal court in Boston, pleading guilty to an indictment that painted him as the nexus among low-level Asian gangs that ran rackets in Chinatown, including drug dealing, gambling, and prostitution. “The defendant ran a vast conspiracy,” Assistant US Attorney Timothy E. Moran said during the federal court hearing in which Willis pleaded guilty to dealing oxycodone and money laundering. Willis, a hulk of a man whose hair is starting to gray, is slated to be sentenced on June 6, possibly to a decade or more, based on his history of violent crime and drug dealing. Willis’s conviction cements an investigation of several years that led to the indictments of nearly 30 Asian gang members and associates, including him, in the spring of 2011. Most of those caught up in the sweep, the largest law enforcement crackdown in Chinatown in recent memory, have pleaded guilty. Willis’s girlfriend, Ann Nguyen, pleaded guilty Tuesday in federal court in Boston to charges of witness tampering. Willis’s emergence as a gang leader was an anomaly in Chinatown’s extremely tight world at the time, when Asian gangs fiercely battled each other. The neighborhood has changed in the ensuing decades, however, and grown more tolerant of outsiders. Gilbert Ho, a former president of the Chinese Consolidated Benevolent Association of New England, said that change and the neighborhood’s shifting demographics might have contributed to Willis’s longevity as a leader in its underworld. Willis’s lawyer, Charles Dolan, would not comment Thursday, saying the case is continuing, pointing out that his client is yet to be sentenced. Willis was so trusted that he frequented the gambling rings and the prostitution dens and served as an enforcer. At the end of the investigation, according to court records, authorities seized $340,000 in cash, 13 guns, and 12,000 oxycodone pills. Most of the people arrested in the 2011 gang sweep have pleaded guilty, including Tan Ngo, 55, a former high-level figure in Ping On who is suspected of approving of a retaliatory gang killing two decades ago, according to court records. 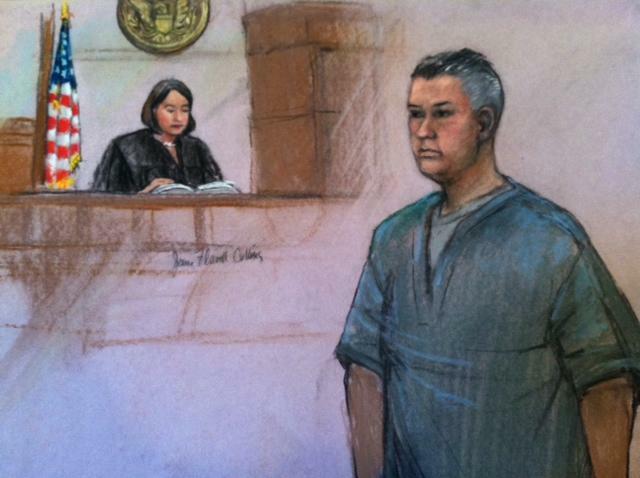 He was sentenced last year to two years in prison for helping to run a Chinatown gambling ring. The head of the gambling ring, Minh Cam Luong, 47, also a former Ping On gang member with a history of crimes, was sentenced to seven years in prison. But Willis faces a more severe sentence for distribution of drugs in the Chinatown community and elsewhere, due to his history of convictions for violence and threats going back to the early 1990s. Prosecutors say Willis and several associates trafficked oxycodone into Massachusetts from suppliers in Florida, and they used the proceeds from the drug crimes to buy fancy cars, motorcycles, and boats in Florida. They also acquired and invested in legitimate businesses, including a liquor store, in Massachusetts and attempted to purchase a nightclub in Florida. “John Willis was the hub and leader of the conspiracy,” prosecutors said in court documents.